Are you exhibiting at a trade show in Sacramento? Do you need assistance creating a spectacular trade show display? Metro Exhibits can help. We provide purchase trade show displays, rental trade show exhibits and much more to satisfy all of your exhibiting needs in Sacramento, CA. Sacramento is the capital city of the U.S. state of California and the seat of Sacramento County. Its estimated 2016 population of 493,025 makes it the sixth-largest city in California, the fastest-growing big city in the state. Sacramento is the cultural and economic core of the Sacramento metropolitan area, which includes seven counties with a 2010 population of 2,414,783. Today, the city is known for its diversity, tree canopy (largest in the U.S.), historic Old Sacramento, evolving contemporary culture as the most “hipster city” in California sunny climate, state administration, and farm-to-fork dining. 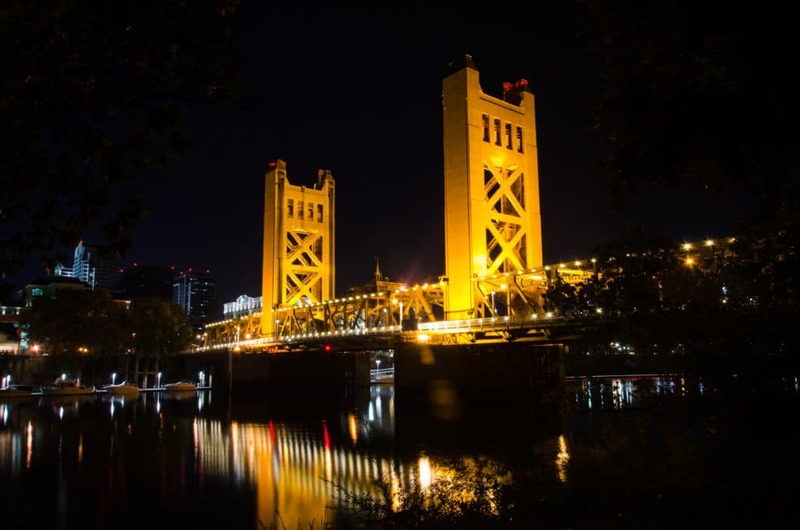 Major attractions include the Sacramento Zoo, State Capitol and Old Sacramento. Sacramento is home to the Sacramento Convention Center with over 137,000 square feet of exhibit space. The convention center offers 31 meeting rooms perfect for upcoming shows and conferences. Additionally, the center offers two ballrooms of up to 35,000 square feet for exhibit space. California Health Information Convention, Comic Con and Gaming Convention, California Craft Beer Summit, Stamp and Scrapbook Expo, Almond Conference, International Food Bloggers Conference, City of Trees Art and Ink Expo, La Mesa RV Show, Luxury Wedding Show, California State Home and Garden Show, Delta King Bridal Show. At Metro Exhibits we understand the needs of companies and organizations to stand above all others. Branding, the practice of building a lifelong preference amongst consumers to choose and patronize your company, is of crucial importance. At trade shows exhibits and conventions in Sacramento, CA, the ability to make an impression that will separate you from your competition is our goal. Metro Exhibits provides the best physical representation of your brand possible. In Sacramento, as in other cities around the United States, we offer a full complement of trade show and convention services. We will work with you to create and design unique trade show and exposition booths, displays, and corporate spaces. Sacramento is home to the Sacramento Convention Center with over 137,000 square feet of exhibit space. The convention center offers 31 meeting rooms perfect for upcoming shows and conferences. Additionally, the center offers two ballrooms of up to 35,000 square feet for exhibit space. The location also offers an auditorium and small theater for large presentations. Finally the location is within waking distance of dining, nightlife and shopping areas. For more information look here. Another great location for trade shows and conventions is the Cal Expo Center. This location is conveniently 22 minutes from the Sacramento Airport and within walking distance of major transportation. When looking at layout the center is broken into 8 buildings totaling 58,870 square feet. The center also offers a show office ideal for trade shows and conventions. Lastly, the center also offers additional outdoor exhibit space depending on weather conditions. For more information look here. Contact Metro Exhibits us to learn more about Sacramento trade show rentals, sales and other trade show support services. Contact us today to review your needs for trade show display purchase or trade show exhibit rentals for your next trade show in Sacramento, CA.